Stoneman, Chandler & Miller LLP (SCM) was originally formed in 1945 as a traditional labor law firm. Since then we have evolved into a full service labor, employment and education law firm engaged in the representation of public and private employers and public schools. SCM counsels and assists clients in a broad spectrum of labor, personnel and employment related issues ranging from the application of wage and hour laws to dealing with the National Labor Relations Act, Davis Bacon Act, OSHA, COBRA, FMLA and the ever changing anti-discrimination laws and accompanying regulations. We have significant experience in the development and implementation of personnel policies, preparation of affirmative action programs, the handling of employee problems, establishment of employee communication programs (e.g. employee handbooks), and the training of managers, and supervisors. We can assist employers in the creation and administration of salary and fringe benefit programs as well. Our experience also extends to over fifty public school districts, including charter schools, in Massachusetts. We are frequently called upon to review and evaluate cases, and to work with clients to problem solve and develop strategies for handling disputes including special education and employee arbitrations. We advise clients on matters involving public records, open meeting, conflict of interest, collective bargaining, grievance and arbitration, employee discipline and IDEA, Section 504 and Chapter 71B. 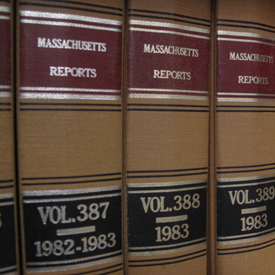 SCM attorneys appear in various forums, such as the Massachusetts Bureau of Special Education Appeals, the Massachusetts Division of Labor Relations, the National Labor Relations Board, the Equal Employment Opportunity Commission, Massachusetts Commission Against Discrimination, American Arbitration Association, and state and federal courts. SCM represents a diverse range of clients in both the private and public sectors. Among our clients are Amnesty International U.S.A., Ann & Hope Outlets, Associated Builders & Contractors, Inc., AvalonBay Communities, Inc., City of Boston, Corcoran Management Company, Eastern Massachusetts Building Wreckers Association, Inc., EMC, First Hartford Corporation, Four Seasons Hotel of Boston, Harvard Club of Boston, Middlesex Corporation, Middlesex Federal Savings Bank, Peabody Properties, Preservation of Affordable Housing, Star Gas Partners, Unitarian Universalist Association, Whitehead Institute, as well as over fifty public school districts and charter schools. SCM is committed to providing our clients the representation they require in resolving their issues. Our attorneys truly understand the challenges faced by our clients in their respective industries. 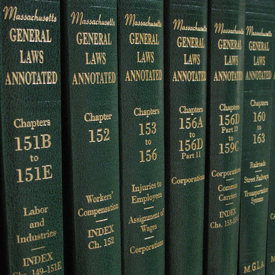 Our collective prior experience with various related institutions distinguishes us as leaders in the field of labor relations, employment, and education law in Massachusetts. If you would like to speak with one of our attorneys about an issue, please contact us for a discrete interview.